In the run up to the NatSCA Caring for Natural Science Collections one-day conservation conference (Oxford University Museum of Natural History, 17th October 2018) we are running a social media photo competition. We are looking for your original photographic entries featuring the conservation and collections care of natural history collections particularly those that focus on innovative techniques, modern advances, shared skills and preventative conservation. We encourage entries from conservators (specialists, generalists and students alike), curators, volunteers, and anyone working with collections. Natural history collections may include bone, taxidermy, fluid preserved collections, geology, palaeontology, shell, botany, entomology, and more. 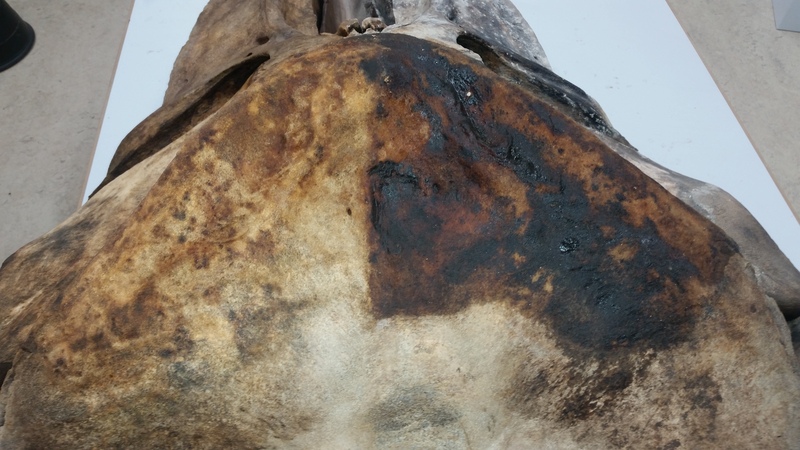 Removing oxidised oils from the surface of a Minke whale skull. ©Lucie Mascord. To be included in the competition please tweet your entries to @Nat_SCA and use both hashtags #NatSCAConservation #photocomp. Please also caption your submission. You may enter up to three photographs, but please put in them separate tweets. The competition will be live from the 10th August to the 10th October 2018, and the winner will be announced at the conference and shared on Twitter for those not attending. The winning entry will receive a one year free membership of NatSCA for 2019. We welcome entries from both current members and non-members. See the Terms and Conditions for information on how this will be rewarded. The entry also will feature in the NatSCA blog. 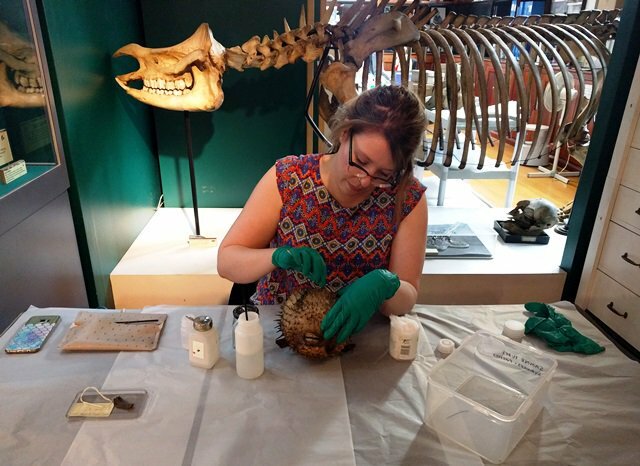 Engaging with public with taxidermy conservation for “Fluff it up”. © The Grant Museum of Zoology, University College London. The competition will be judged by the NatSCA conservation working group. This competition was inspired by the photo competition ran by the Icon (Institute of Conservation) Heritage Science group which this year was won by our own Nigel Larkin with his photograph using infrared thermal imaging. Competition closes on the 10th October 2018. All eligible entries received by the Closing Date will be entered into the draw for the prize. The competition will be judged by the NatSCA conservation working group. The winner will be announced at the NatSCA Caring for Natural Science Collections one-day conference at the Oxford University Museum of Natural History on the 17th October 2018. This will also be announced on Twitter for non-attendees. The winner will be formally notified by email following the event. The result of the competition will be final. All times given in British Summer Time. The first prize will a one year free membership to NatSCA for the year running February 2019-January 2020. This will be arranged with the membership secretary. For current members paying by standing order, arrangements can be made to receive a one-off refund with the membership secretary. There will be one prize available to one entrant. Submissions from groups/institutions will be asked to select one single recipient from their team. The prize cannot be transferred, nor will any substitutions or alternatives be available. There will be no cash alternative in whole or in part.